Just when you think wooden pallets couldn't be any handier, a new book illustrates 35 new projects for the classic DIY supply. Here, we have a sneak peek that's sure to inspire. Shipping pallets are easy to come by, often at no cost. And they’re easily broken down into separate, simple wood boards, the rough-hewn look of which many people love. Affordable and aesthetically pleasing? It’s not often that the world comes across a material that satisfies both criteria. So for the past several years, do-it-yourselfers have expressed their enthusiasm by unleashing a veritable torrent of wood pallet ideas, each more inventive than the last. We loved seeing what clever things clever people came up with, but from benches to daybeds, it starting to seem like we’d seen it all. As it turns out, we couldn’t have been more wrong. 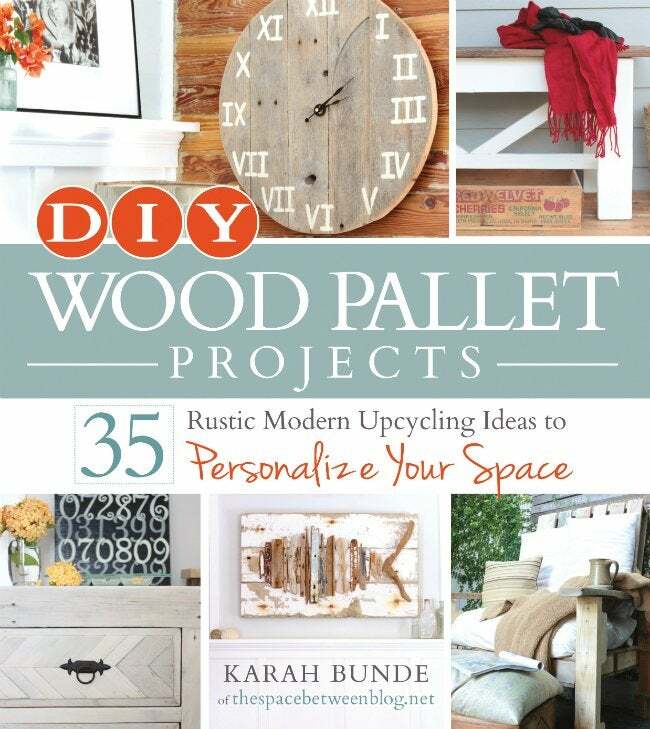 With her new book DIY Wood Pallet Projects ($19.99, F+W Media, Inc), Karah Bunde, the mind behind The Space Between, we’ve learned that when when it comes to wood pallet ideas, there are virtually no boundaries. Here, we take a look at four favorite projects from the book. For more, buy the book right here. 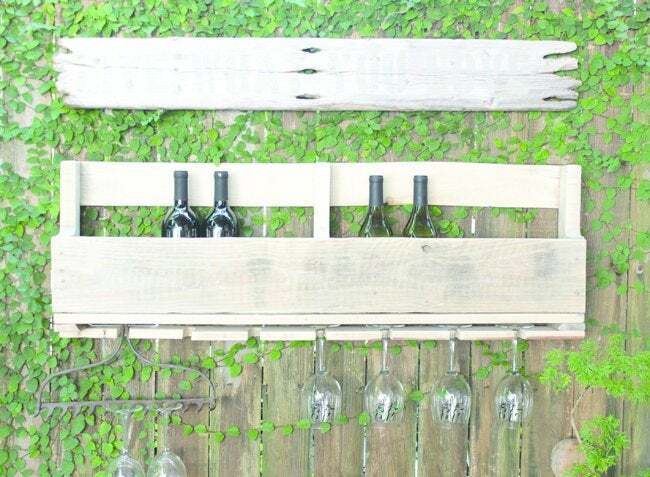 Check out this simple DIY wine rack outfitted with storage for stem glassware. It’s the perfect conversation piece for any comfortably eclectic outdoor living area. Don’t drink wine? No worries—the same design would make for a rustic-chic magazine rack to be hung in a living space or a cookbook holder in the kitchen. 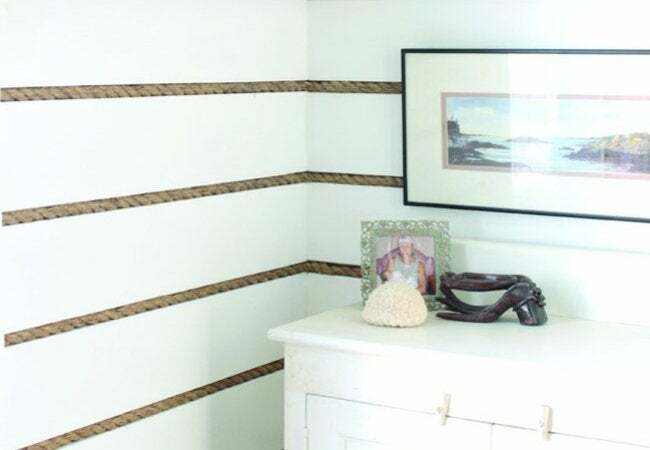 If you’re partial to nautical-inspired home decor, you know that rope makes a wonderfully easy and versatile addition to furniture and miscellaneous parts of the house, such as the stairwell. In the stunning wall treatment picture here, rope appears between the rows of white-painted, pallet-board paneling. Wow! It’s an age-old question: What do you do with the space at the bottom of the closet? 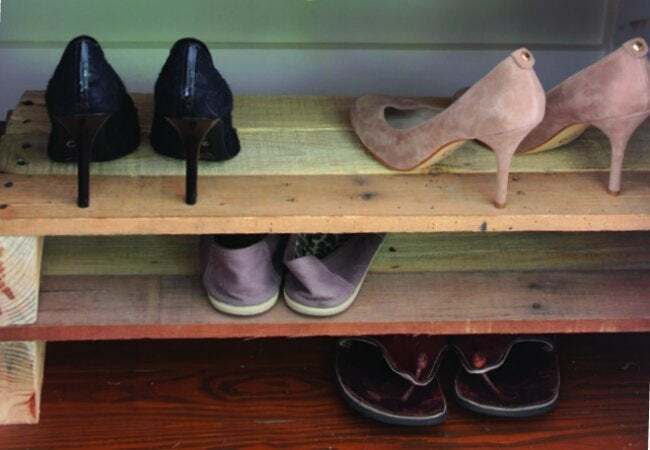 Here’s a simply genius organization solution: Build a shoe rack out of a shipping pallet. All it takes is six slats. The result is a stackable shelving system that can be easily customized to meet the demands of about any shoe collation. A simple set of shutters is an easy way to add a little curb appeal to the front of your home. 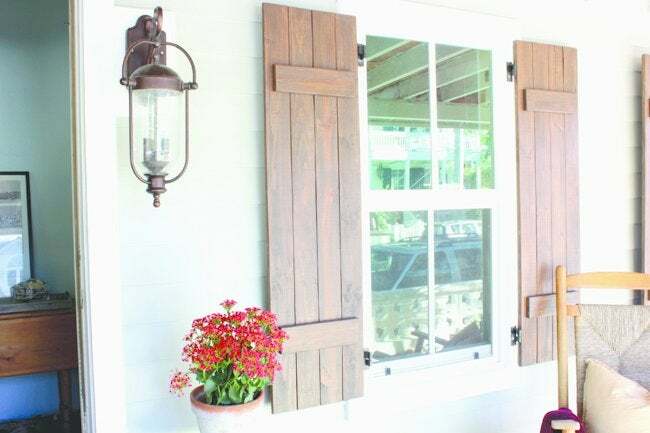 Depending on the size of your windows, you might actually be able to use pallet slats, but this project uses new 1×4s to show that with a little sanding and staining they can end up having the same look as a pallet slat. Excerpted from DIY Wood Pallet Projects: 35 Rustic Modern Upcycling Ideas to Personalize Your Space. Copyright © 2014 by Karah Bunde and published by F+W Media, Inc. Used by permission of the publisher. All rights reserved. Photos courtesy of Karah Bunde.